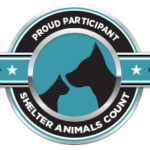 PetConnect Rescue - Get ready to find your new family member! Choose from our available Dogs, Cats, or Seniors! A residential foster home for dogs. Adopt a lovable senior dog today! Find out ways that you can contribute.